I’ve spent two weeks with the Gin Rickey and they’ve been a good couple weeks. I mentioned last week that there were experiments I wanted to conduct. The results are mixed, but I’m getting ahead of myself. In Gary Regan’s writeup of the Rickey in The Joy of Mixology he mentioned that you could really use any clear base spirit that you like for this drink but gin is the most common. This naturally got me thinking about what the Rickey would be like when paired with other bases. So I broke out the collection and went to work. I think the most interesting thing I found from all of the experiments was that no matter the base spirit (gin excepted) I always found myself wanting a different cocktail that was only a slight change from the Rickey. Now for some results. So there you have it. The variants weren’t bad, but each left me wanting a different drink. Sure, I left out vodka. But does it really matter? Methinks, no. As for gin you’ve got a good cocktail on your hands. This drink, due to its simplicity, is really all about the ingredients. Don’t use anything but fresh lime juice for this I implore you. There are times when that’s an okay substitute in my book. This, is not one of them. The gin is more dependent upon your tastes but I’d reach for something in the mid to strong flavor range. A delicate gin like Bombay Sapphire is simply going to get lost. I tried Tanqueray, Beefeater and Junipero, all with good success. Finally, I’m going to leave you with one parting comment. Some of the recipes you’ll find call for sugar or simple syrup. Don’t do it. You lose what the Rickey is really about when you add the sugar. A Gin Rickey is about sipping. It’s supposed to be dry. It’s supposed to be sour. That’s the way the originator wanted it. 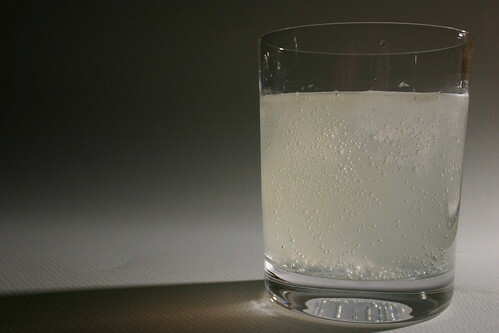 If you want something sweeter, reach for the lemon juice and make yourself a Tom Collins. « Gin Rickey – More Time!